Add that all important finishing touch to your Christmas gift wrapping for those you love with this pack of strung bags from East Of India, featuring stunning illustrations upon versatile paper bags. This gift bag set is ideal for a number of small to medium sized gifts this Christmas including clothing accessories, keepsake tokens and more. Featuring a striking deer on the front and a blank rear side of the box beautifully line drawn and with elegant antlers. A large array of cream dots surrounds the illustration to simulate falling snow. 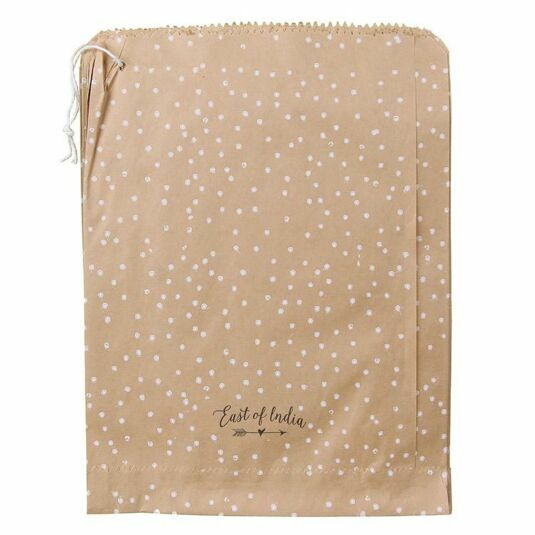 This gift bag contains 50 individual brown paper bags for you to place a gift inside and simply close the top via rolling or folding to secure any gift with ease. 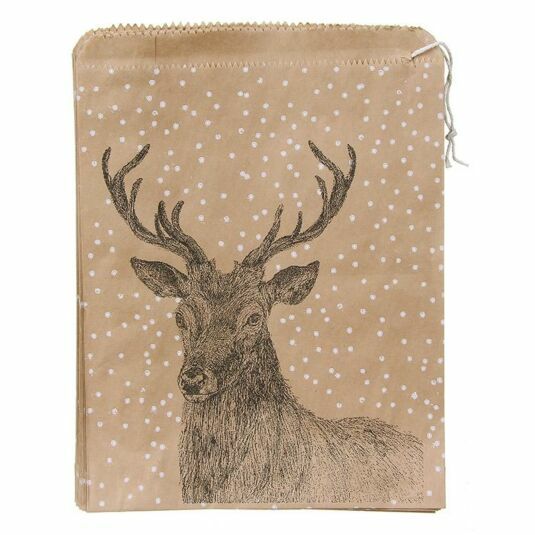 These East Of India Pack Of 50 Christmas Deer Strung Bags are perfect for adding that something special to any gifts.